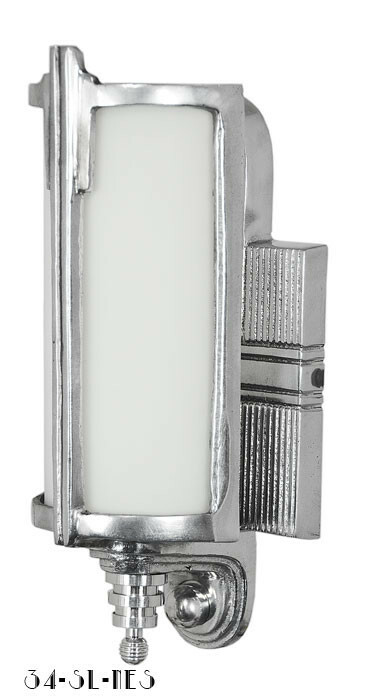 Isn't this an interesting Art Deco Streamline sconce! Required a fair amount of development and specialized glass shaping & cutting in a translucent opal glass. 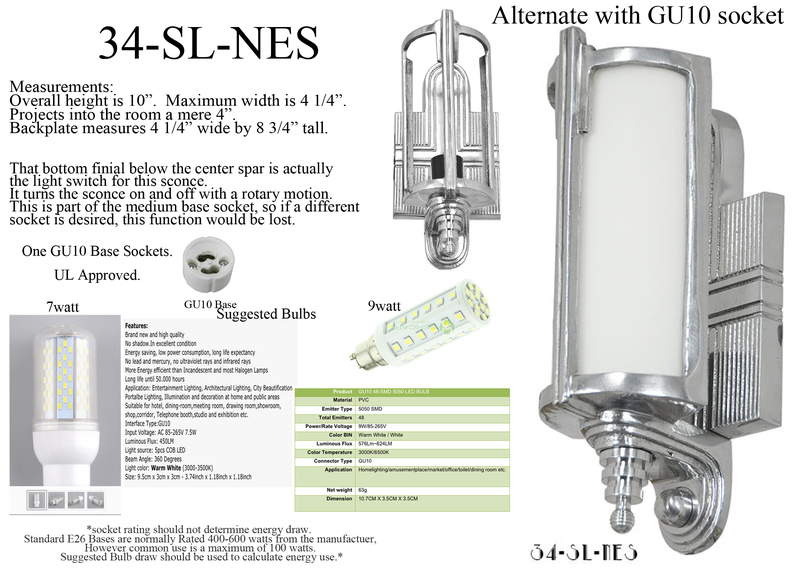 This fixture is built using a normal medium base socket. Really, a T-10 tube light bulb (often used for piano and desk lamps) might be the bulb of choice here for an even glow for the length of the shade. Cleverly, that bottom finial below the center spar is actually the light switch for this sconce. 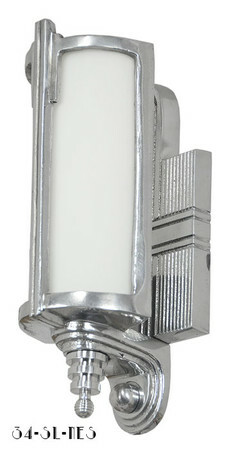 It turns the sconce on and off with a rotary motion. This is part of the medium base socket, so if a different socket is desired, this function would be lost. Product specification sheet can be found here. Measurements: Overall height is 10”. Maximum width is 4 1/4”. Projects into the room a mere 4”. Backplate measures 4 1/4” wide by 8 3/4” tall.